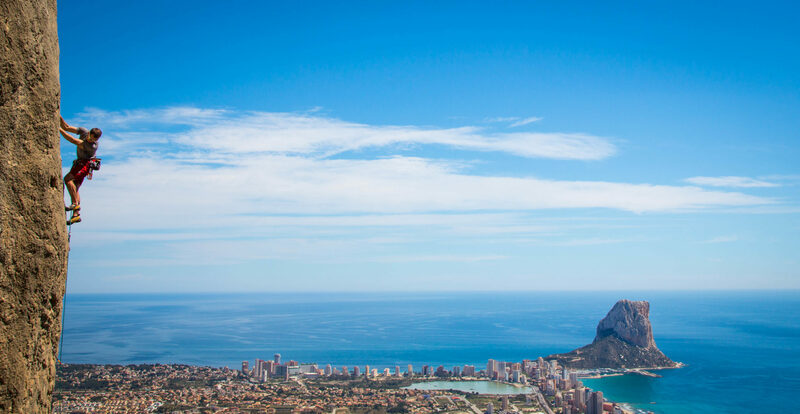 When you mix the world’s two largest features, the mountains and the sea, you can bet there will be breathtaking views with vast, dramatic landscapes and succulent food to round out the climbing experience. The Costa Blanca region of Spain didn’t let me down. Penon de lfach: The landmark of the Costa Blanca, this 332m tower perched above the Mediterranean Sea has multi pitch routes ranging from 5+ to 7b (5.10 to 5.12b). We climbed a 6a+ variation of Via Valencianos, a route with quite a bit of loose rock and polished cruxes but with a view that is among the most spectacular in the world. Forada: For those seeking overhanging sport routes that deliver the pump Spain is known for, the countryside cliff of Forada is the place to go in the Costa Blanca. The north face provides a welcome respite from the sun this time of year, is packed with well-bolted routes up to 8b (5.13d), and is practically a roadside crag, depending on how far you drive down the “road.” Elios (7a+) and Spiderman (7a) were our favorites. Gandia: This crag is steps from the road, has interesting rock formations, and is well-bolted. Perhaps its only drawback was that it is south facing and therefore quite hot in the 70 degree sun. Sella: Sella is the largest and most popular crag in the area. Offering everything from dramatic multi pitch climbs to overhanging sport routes up to 8c+, we could have spent weeks here alone. With several crags with short approaches, it was a great choice for our last day, giving us time to get in a few pitches before heading home to pack up. 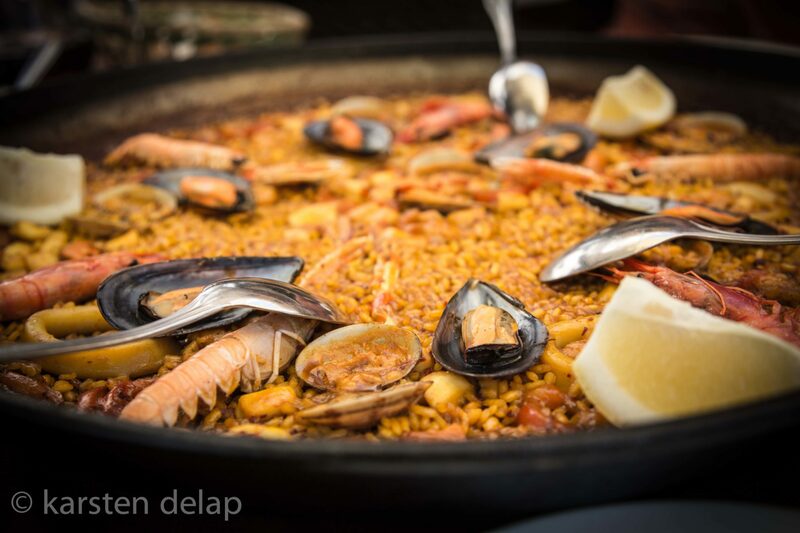 The Costa Blanca has food options to satisfy every taste and budget. From Michelin 3 star restaurants to American fast food (yes, I did get a cheeseburger or three), the food will not disappoint. Quique Dacosta: It’s hard to believe that the little seaside town of Denia would have a Michelin 3 star restaurant that has been called the best in the world by many, but we can attest that it is true. This meal appealed to every sense and can’t be done justice with words or photos. All I can say is if you are looking for the meal of a lifetime, this is it. Casa Pepa: We would likely have not even found the small village of Ondara had we not heard about Casa Pepa, another Michelin starred restaurant situated among olive and orange groves. The meal here was simple and elegant and would have been the standout had we not gone to Quique. El Andaluz: You can’t go to Spain and not have paella, tapas, and sangria. We tried several, and after a morning of exploring the Old Town area of Calpe, we found the best of the bunch here. Our waiter actually prohibited us from ordering more tapas lest we spoil the paella, but all of the nine or so plates we had were great, as was the paella. 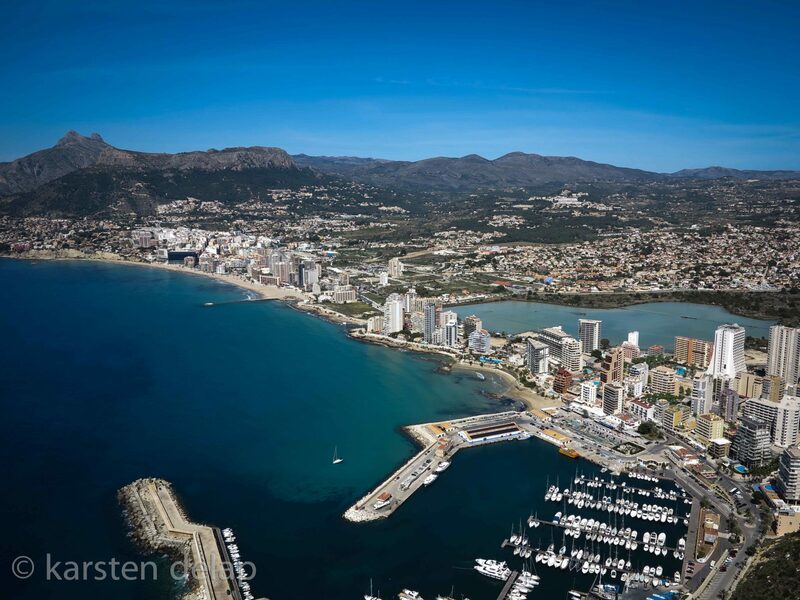 Calpe dockside: This area at the base of the Penon de Ifach is filled with restaurants that offer fish fresh off the boats and is great if you are looking for simply prepared FRESH seafood. You probably can’t go wrong with any of them as we found after the restaurant we tried to eat at on three separate occasions was closed. After a feast of sole, lobster, prawns, pulpo, and a bottle of albarino, you can stroll the dock and see the day’s catch being unloaded. Perhaps one of best things about this area is the abundance of things to do on rest days (or after climbing if you’re not too beat). The entire region has beautiful beaches with aquamarine waters. We particularly enjoyed one in Calpe with views of the Penon de Ifach. You could also get lost for days wandering the streets of the many towns in the area, ducking in and out of alleyways dotted with spectacular murals, stopping for a glass of sangria and a snack before heading out again. And if you haven’t gotten enough exercise from all of the climbing and exploring, you can go for an evening run along the Mediterranean in Javea (which was perfect after I sampled the local McDonalds). 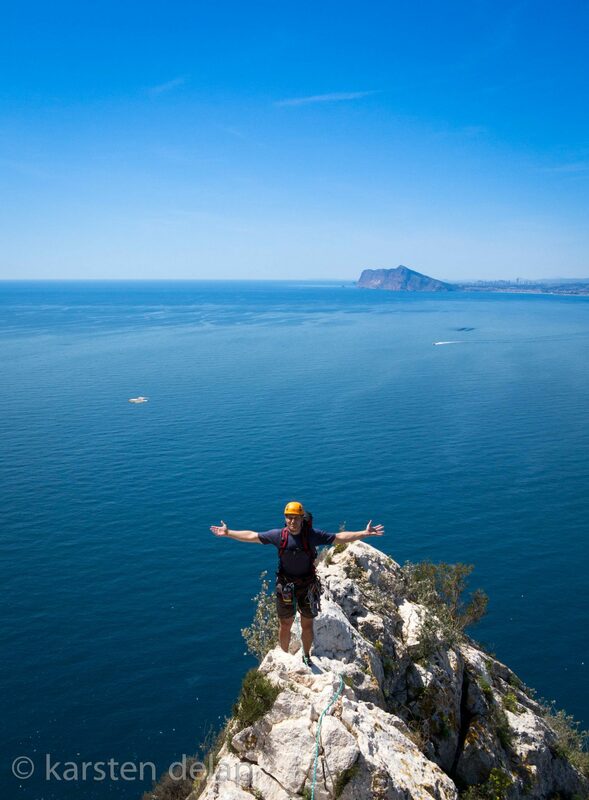 Whatever your taste in climbing, food, or recreation the Costa Blanca is a magnificent place for a climbing vacation.